Employer's note: 1-3 days working from home. As a Senior Webops engineer at MOJ Digital & Technology you’ll be supporting the development and operation of web systems that make a genuine difference to people’s lives. You’ll be keeping up to date with the latest technologies and trends, whilst delivering working software early and often. At MoJ you’ll be working on our acclaimed open-source public services, with user needs at the heart of everything, helping us transform Government for the future. Working as part of a multi-disciplinary team, you’ll be running services used by citizens and government staff across the justice system. Throughout the process we will assess your technical specialist skills and experience on the above requirements as well as competencies you will find on the job description. We are an equal opportunity employer and value diversity at our company. We do not discriminate on the basis of race, religion, colour, national origin, gender, sexual orientation, age, marital status or disability status. These are exciting times at MOJ Digital and Technology. We have a clear vision - to develop a digitally-enabled justice system that works more simply for users - and we’re looking for talented people to help us achieve it. We’re making things better by building adaptable, effective services and making systems that are simple to use for staff and citizens. It can be challenging but it’s also important and rewarding. As well as doing great work, we’re creating a place that’s great to do work in. We offer tip-top kit, brilliant training opportunities and support from expert colleagues. On top of that, you’ll find flexible working, an inclusive culture and a place where your opinion is valued. 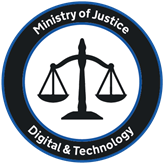 Want to get notified about new jobs at Ministry of Justice Digital and Technology?